According to the Urban Dictionary, hipsters are a subculture of men and women in their 20s and 30s who value independent thinking and progressive politics. They appreciate art and indie-rock, creativity, intelligence, and witty banter. More on that in a minute, but first it’s interesting to note that social scientists who study these things have found that groups—even those that strive to be different—breed conformity. It’s no surprise then that as human beings we share a need—on some level or the other—to fit in, even as we try to be different or belong to a subculture. So I find it most refreshing to discover individuals who are so comfortable with themselves that they fit in among divergent groups, even if it may seem they don’t fit in within any of them. Take Adam Steltzner, whom we feature in this month’s One-on-One interview on page 20. He’s an example of someone who transcends the different groups he belongs to—he’s been called a hipster, even though he too is well past the defined presumed hipster target age; he’s also a mechanical engineer who doesn’t fit the traditional profile. Steltzner is one of the lead NASA Jet Propulsion Laboratory engineers who designed key elements of the Mars rover Curiosity. He’s also a former rocker who wears an Elvis haircut and has pierced ears. Going by the Urban Dictionary’s definition of “hipster,” I don’t know what to call Steltzner. But he appears to have embraced the formula that defines those who are finding success today: the ability to adapt to change. What matters most in today’s environment is the wisdom to embrace the instability of the workplace and changing business models. Assumptions of how things work must be replaced by an openness to embrace new ways of doing business, even as they may make us uncomfortable. Today’s most important skill is the ability to acquire new skills. Those who are entering the workforce today are comfortable with change. 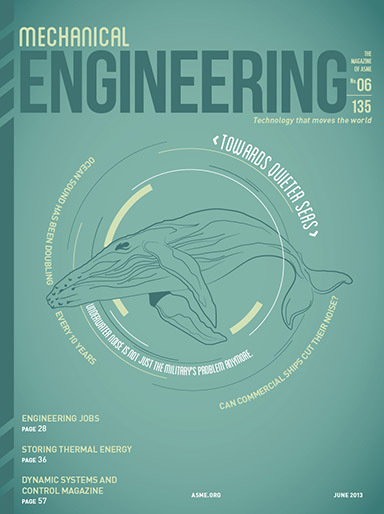 In fact, it’s a good time to be an engineer, as this month’s Trending column on page 28, shows. It’s not good—whether you’re young or not so young—if you have a hard time balancing the pride of personal experience with the new humbling set of business norms. It’s great if the balance comes naturally. Now excuse me as I pour myself a glass of Sancerre.